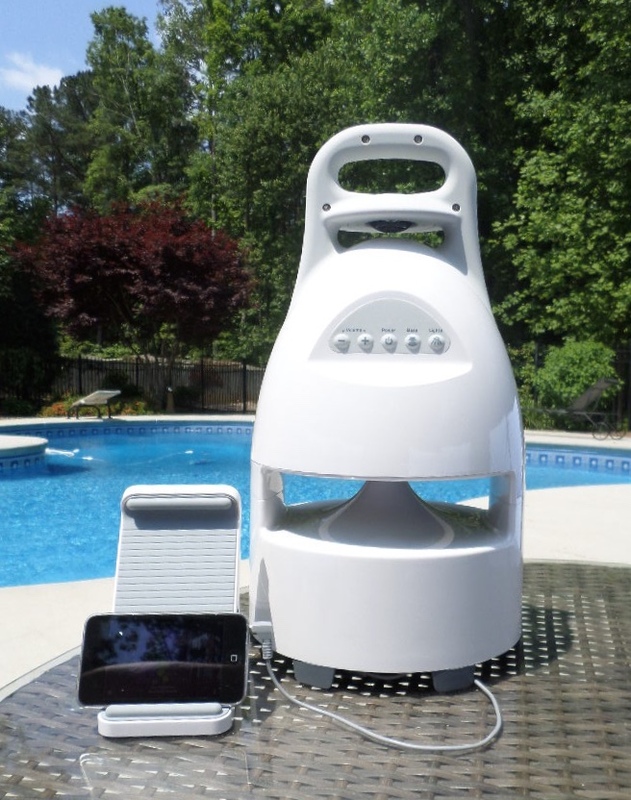 Outdoor waterproof speakers provide music and ambience to your outdoor party or to enhance your relaxation by the pool. We have several of them and use them for different purposes. 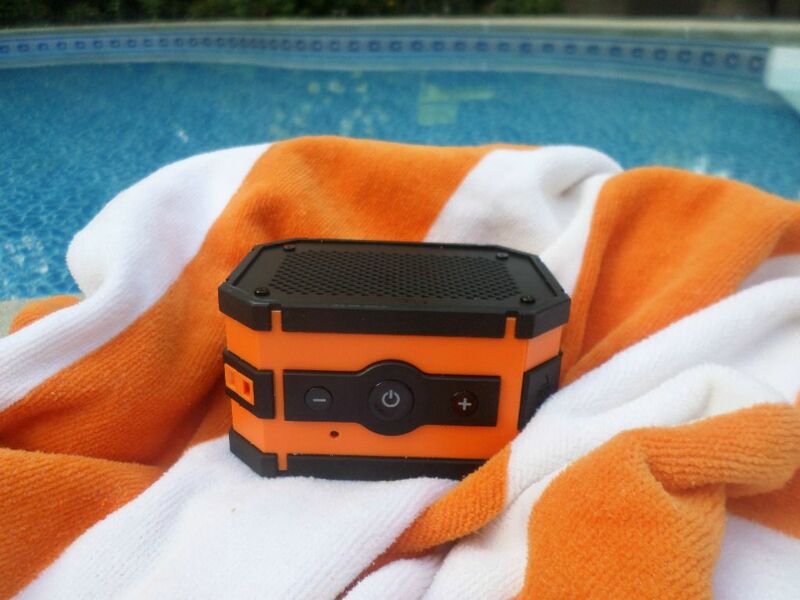 Our new favorite waterproof outdoor bluetooth speaker is the Mini Lifejacket 3. It's waterproof, shockproof and you can pair multiple speakers for surround sound. Long lasting 16 hours of battery life means you don't need to worry about running out of charge in the middle of a party. It can also charge your cell phone while playing music or take your calls with the speakerphone. Included items are the bluetooth speakers, an AC adapter, and a USB cable. 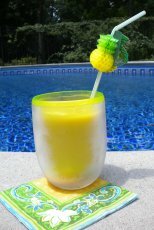 Take it to the beach, camping, by the fire pit or just use it at our favorite spot - the backyard swimming pool. Bigger sound requires bigger speakers, that's why we like our Brookstone Outdoor Speaker. Hook up your smart phone, iPod, iPad, or Kindle to listen to your playlist or favorite radio app like Pandora. 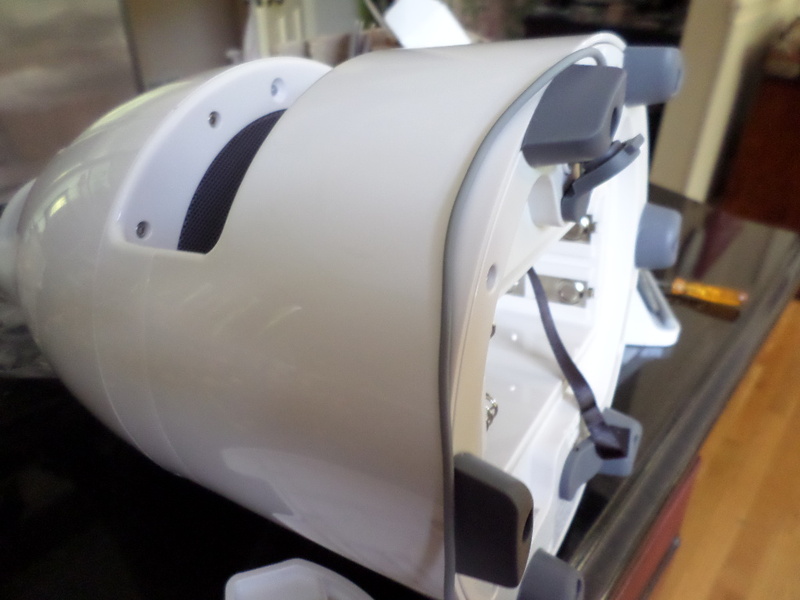 For outdoor use this speaker requires 8 D batteries but we run it on AC power when we use it on our porch. 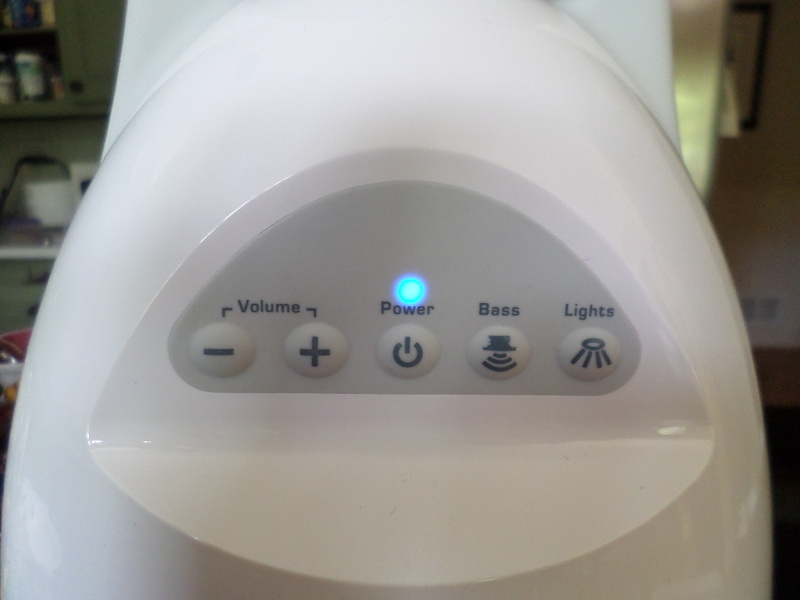 Easy to see and use buttons for bass, volume and lights. 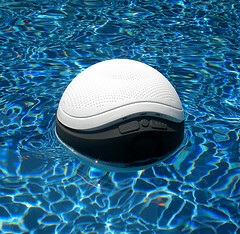 When our grandkids come over they always ask to have the floating speaker in the pool with us. Swimming with your granddaughters to Little Mermaid's Under The Sea is a forever memory. It works with smart phones, iPods and other MP3 players. It uses 6AA batteries which have lasted for many days of use. The sound quality is good and a blue light for night time use makes it a great addition to our pool time. Truly, floats right on top of the water. Lots of kids splashes have gotten it wet and it still is working great after 3 years of use. While mine is an older model, the newer model features the latest Bluetooth 3.0 technology which ensures uninterrupted streaming from most any device from up to 33 feet away. 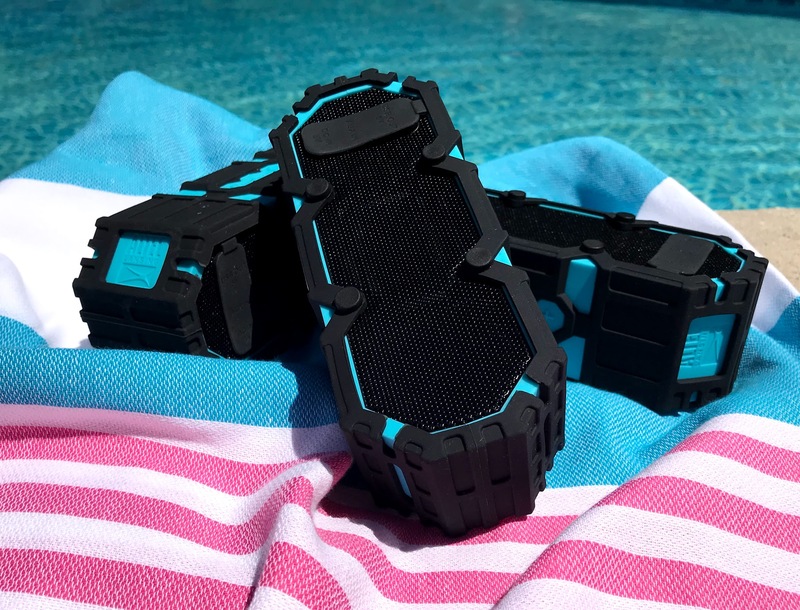 We originally bought the Oontz bluetooth waterproof portable speaker to use in our golf cart we found it to be a great speaker to use out by the pool. The sound quality is surprising considering how small it is - 6"x3"x3". The bluetooth connection is so easy to pair with your iPhone, iPad, iPod, Android, smartphones, tablets, etc. Rechargeable batteries that provide up to 15 hours of playing time make it easy to use anytime - indoors or out - at the pool, the beach or camping. 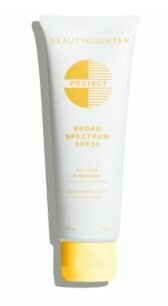 It's used out by the pool all the time and has gone with us to the beach on vacation. 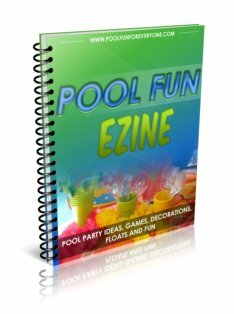 Great to set on the party table or end table next to your lounge chair. Easy to pair to your smart phone, in seconds you will be listening to your favorite Pandora radio station. I am certainly not going to put this in the pool, but it's nice to know that if it gets splashes of water on it or it starts to rain, that it will keep working. Make music part of your outdoor experience whether you want to enjoy some quiet moments listening to relaxing tunes or partying with friends and family.